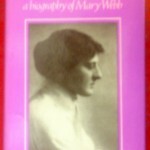 A small selection of the wonderful books written by, and about, Mary Webb. The gate clicked and she was there. She had never looked so frail, so provocative; she had never been more purposeful or less desirous of admiration. They went in. Lily was genuinely pleased; after the rambling ruin at home, impossible to keep in order even for more industrious hands than hers, the compact, neat little home was delightful. She thought how easy the work would be. She was not meant for the hardy magnificence of manual labour. The daughter of a Welsh gypsy and a crazy bee-keeper, Hazel Woodus is happiest living in her forest cottage in the remote Shropshire hills, at one with the winds and seasons, protector and friend of the wild animals she loves. 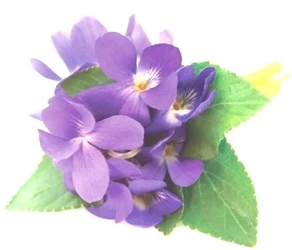 But Hazel's beauty and innocence prove irresistible to the men in her orbit. Both Jack Reddin, the local squire and Edward Marston, the gentle minister, offer her human love. Hazel's fate unfolds as simply and relentlessly as a Greek tragedy, as a child of nature is drawn into a world of mortal passion in which she must eternally be a stranger. A compelling story of passion, with an enduring air of enchantment throughout, Precious Bane is a novel that haunts us with its beauty and its timeless truths about our deepest hopes. Set in Shropshire in the 1800s, it is alive with the many moods of Nature, benevolent and violent and the many moods -- equally benevolent and violent -- of the people making lives there. 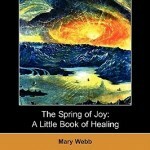 Novelist, poet, and mystic, Webb (1881-1927) is a neglected author undergoing a revival. Winner of the Prix Femina in 1924 and much admired by Rebecca West, Buchan, and de la Mare, critical acclaim was translated into popular success only after her death. Webb grew up in Shropshire, the setting of her work. Steeped in the history and folklore of the area, her writing was an expression of her pantheistic philosophy. 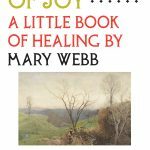 Coles discusses the importance of pantheism to Webb, reviews her position in the literary society of the time, and explores the effects of the debilitating Graves' Disease, from which Webb suffered. 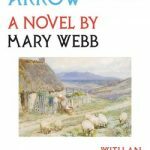 This acclairmed pioneering study of Mary Webb (1881-1927), the Shropshire novelist, poet and mystic (author of Precious bane) is now being printed in its first paperback edition. 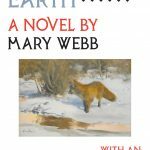 Recognized as the standard work on Mary Webb, it combines the story of her tragic life wit h a reevaluation of her creative achievement. 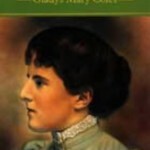 Gladys Mary Coles, the leading authority on Mary Webb, has won many awards for her writing, including a Welsh Arts Council Award and the Daily Post Arts Award for Literature.